Colour through the eyes of people around the world. Colour symbolism refers to the use of colour as a symbol in various cultures. 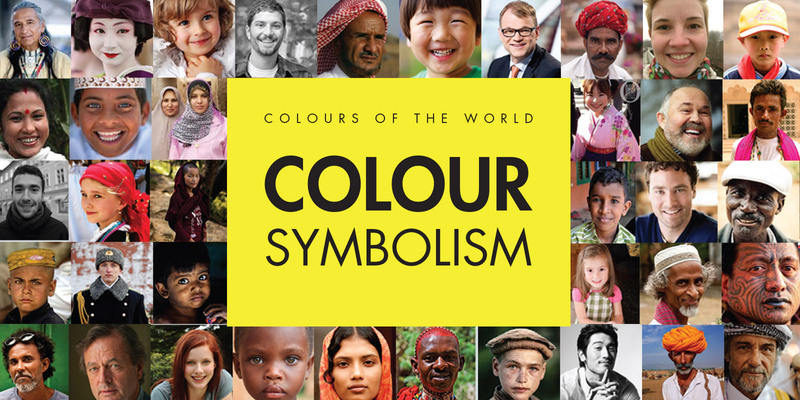 Diversity in colour symbolism occurs because colour meanings and symbolism occur on an individual, cultural and universal basis (O’Connor, 2015). For example, when we think about mourning, the colour that comes to our mind is white, because in our country when someone passes away, he/she is draped in white and the relatives of the deceased adorn white clothes as well to symbolise their grief. Similarly, in Egypt, yellow is the colour for mourning, while in Thailand it is purple. Where green symbolizes growth, fertility and environment in most of the countries, it symbolises danger in Malaysia. Download the free pdf version of the book to learn more about colour symbolisation around the world. This book is part of the Diversity in Cultural Design and Human Psychology research program at the Department of User Experience & Human Centred Design of the User Study & Experience Research Hub in Dhaka. As products are no longer limited to borders, knowledge on the cross-cultural meanings of colour will help you to reach out to your target audiences on a wider aspect.